Barbie doll riding on a chicken with a saddle and pink reins. Part of my annual Halloween photographs. The chickens owner told me of a saddle you had purchased for her chicken. An idea came from this. 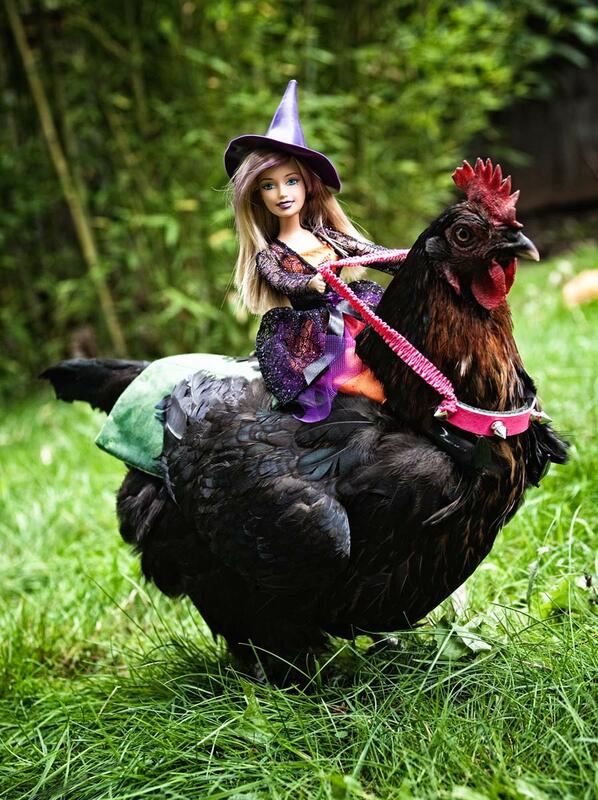 Found a Barbie Witch to ride the chicken.